It's the end of an era. 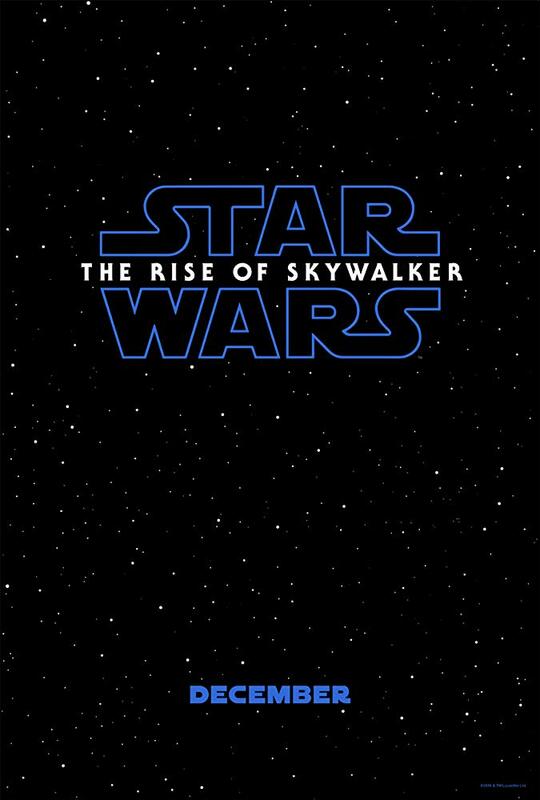 Or a saga, to be more specific, as Disney brings to a close not only its new Star Wars trilogy but also the Skywalker Saga as a whole with Star Wars: The Rise of Skywalker. Episode 9 will not only wrap up the trilogy that began with 2015's The Force Awakens, but also the now 9-part story of the Skywalker family in its various generations, tying up loose ends to open the way for new stories in the Star Wars universe. Until then though, here's what you need to know about Rise of Skywalker. When is the Rise of Skywalker release date? Just like The Force Awakens and The Last Jedi before it, Episode 9 will come out in December, slotting in just before Christmas: 19 December in the UK, and 20 December in the US. Tickets aren't on sale yet, but keep an eye out. That'll be a busy time for Star Wars fans, with new TV series The Mandalorian debuting in November on the Disney+ streaming service, and the giant new single-player videogame Jedi: Fallen Order arriving in December, just before the movie. Until then you can remind yourself of what happened last time by grabbing The Last Jedi on DVD or Blu-ray, or pick up the most recent film in the series: last year's prequel story Solo. All the usual returning faces will be here again: Daisy Ridley as Rey, John Boyega as Finn, Oscar Isaac as Poe, and Adam Driver as Kylo Ren. In addition, Domhnall Gleeson, Lupita Nyong'o, and Kelly Marie Tran will be back, together with Anthony Daniels as C-3PO, Jimmy Vee as R2-D2 and Joonas Suotamo as Chewbacca. That's not all though, and there are some other returning faces that might be more surprising. How about Billy Dee Williams, back for the first time in decades (live action, at least) as Lando Calrissian? If that's not a shocker, then here's one: the first teaser gave away the return of one Ian McDiarmid as Palpatine - a.k.a. the Emperor - despite his death at the end of Return of the Jedi. And another potential surprise: Mark Hamill is also back, despite Luke's death too, though we'd bet he's just going to be a force ghost this time around. Of course there's one actor who tragically isn't returning. Carrie Fisher died too early to re-appear in the film, but Leia herself will be present, thanks to footage shot for the previous two films that wasn't used in the final cuts. That means there won't be a lot of Leia, but we should see a bit, and hopefully there'll be a fitting send-off for the princess-turned-general. Finally, there'll be a few new faces too. Richard E. Grant, Keri Russell, and Dominic Monaghan are all joining the series for the first time, though we've not seen any sign of their characters yet, so we're not sure exactly what to expect from them. Last Jedi haters may be pleased to know that Rian Johnson is not back in the director's chair: instead The Force Awakens helmer JJ Abrams is back in charge of Rise of Skywalker, bringing to a close the trilogy that he started. He's also co-written the script, together with Chris Terrio, who's making his Star Wars debut, but has contributed to the likes of Argo (great) and Batman v Superman and Justice League (not so great).